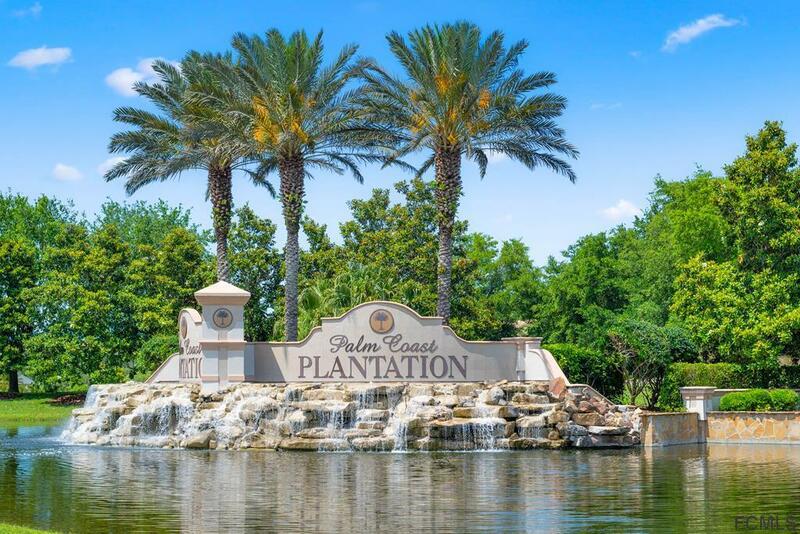 Prime waterfront l0t located in the gated community of Palm Coast Plantation. Community features beautiful 127 acre lake. This lot is high and dry and it has even been landscaped for you by the meticulous owners! Community features include lakefront clubhouse, junior size Olympic pool, a separate children's pool, heated spa, tennis, walking trails, playground, heated spa, fitness center, game room, social room, community dock, and RV and boat storage! There is no build time here, so buy now while prices are good and build later! Another advantage for the buyer of this lot: it already has an irrigation system and a well in place.